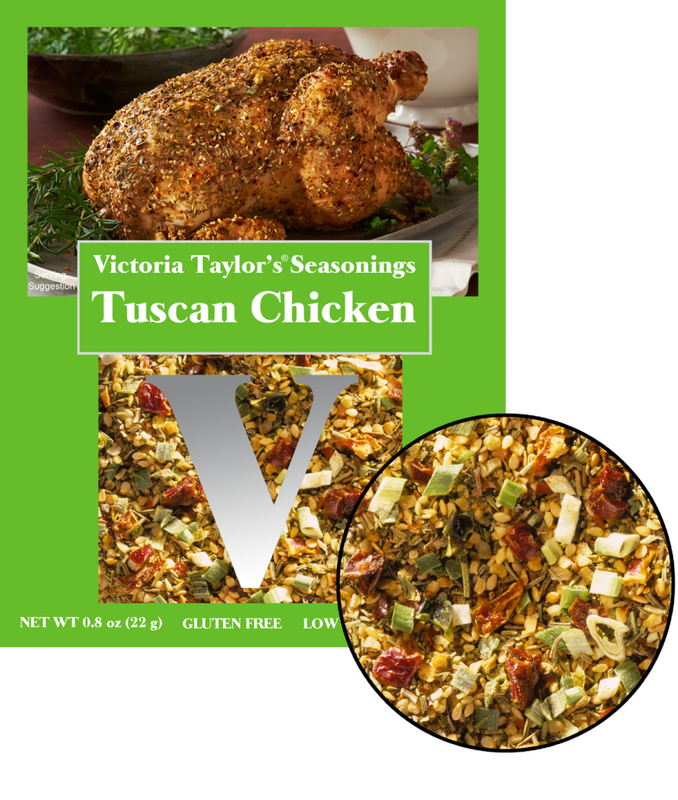 Tuscan Chicken seasoning combines garlic, bell pepper, and green onion, along with herbs and spices and aromatic oils, to set off the flavor of roast chicken perfectly. This is a one time use packet designed to make the recipe for Tuscan Chicken which is included on the back of the packet. Ingredients: Vegetables (garlic, bell pepper, green onion), mixed spices (rosemary, oregano, red pepper flakes, black pepper), sesame seed, lemon peel, sea salt, sesame oil, rosemary oil.